Even the finest quality extra virgin olive oil can go bad if not stored properly. The three main enemies of olive oil are light, heat and oxygen, which all speed up the oxidation process. But there are a few simple steps you can take to preserve the healthy nutritional properties along with aroma and flavour of your olive oil. Prolonged exposure to natural or artificial light (including halogen and fluorescent lights) can not only diminish the taste of olive oil, but also reduce its vitamin and antioxidant content in a process called photo-oxidation. For this reason, it’s best to store your olive oil in a cool, dark place. The best types of packaging for extra virgin olive oil are dark glass bottles (glass does not alter oil’s taste and is easily recyclable) or stainless steel containers that shield the product from light. Steer clear of transparent glass or plastic containers, as they let in too much light. 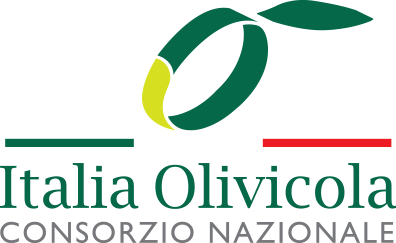 Read more on how to recognize high-quality olive oil. While it may seem convenient to keep your olive oil by the stove when cooking, hot temperatures can actually be bad for your oil. The ideal temperature for storing olive oil is between 12° -18°, so keep it in a cool place or the lower shelf of a cupboard, away from electric appliances and lamps that can heat the air. Rich in natural antioxidants, extra virgin olive oil is relatively resistant to oxidation and does not go off quickly. However, once you open the container, it’s inevitable that the oil will go bad over time through contact with the air. After each use, remember to seal the container with an airtight cap to minimize contact with oxygen. For the same reason, avoid keeping olive oil and olive oil-based salad dressings in clear glass jars and serving cruets that cannot be reclosed, unless it is for immediate consumption. Extra virgin olive oil is a delicate product that does not improve with time. To reap the maximum health benefits from your oil, try to enjoy it within a few months after opening. The best strategy is to buy smaller amounts of olive oil (for example 0.5l) and make sure you are using at least two tablespoons of it with your daily meals. If cooking with olive oil is still a new thing for you, look for inspiration in our ‘Food with olive oil’ section (link). When stored in proper conditions in a cool, dark place, an unopened bottle of olive oil can maintain its optimal freshness for 18 months from the bottling date on the label. But why wait for a special occasion when you can start enjoying its delicate taste and health-inducing properties today?